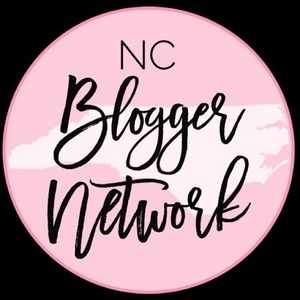 NC Blogger Network provides a positive, inspiring, and supportive community for bloggers to get education, resources and the tips they need all in one place - plus the opportunity to work with the brands they know and love. You’ve heard the myths about blogging. In this show, we’re debunking some of the commonly heard myths & giving you the facts. In this episode, we're talking about many of the blogging resources you need to be successful, as well as several that you'll want, with our special guest Phyllis Khare. We’re prepping for another podcast episode. Stay tuned! If you'd like to get blog, podcast and vlog sponsors easily - and turn your efforts into a full-time income, you're in luck! We've got a great opportunity for you to do just that. Learn how to land brands and get sponsorships. Boost your income so much that you never have to overload your schedule again! This is your last chance to get in on the ONE masterclass that covers all the key takeaways from the challenge... and even a bit MORE. Takeaways like learning how to…. Fix the 8 mistakes that 90% of bloggers make when working with brands Find the “golden ticket” that gets your emails into the right hands Make yourself irresistible, so brands can’t wait to work with YOU Start making a full-time income right now, not someday when you’re “bigger.” TOMORROW, Tuesday, February 13th from 11:00 am - 12:00 PM American Eastern Time/New York (That’s 10 am central, 9 am mountain and 8 am Pacific). If you’ve ever wanted to get sponsorships for your blog, vlog or podcast, listen up! Get in on the FREE 5-day live training coming up Feb 5-9! You’ll learn the step by step strategy to pitch the brands you love. This episode is all about essential blog photography tips. Why you need to use photos, how to use them and where to find them. In this episode we take call-ins & answer burping questions about SEO. You Started A Blog, Now What? Now that you’ve launched your blog, what do you need to do next? We’re covering that and more in this episode! Is this episode we discuss how bloggers can put Google Plus to good use. As part of the Google suite of products & properties, G+ is still a network to be considered - even if there isn’t as much activity or socialization there. In this episode we take call-ins from our community about blogging. Got questions? Call in! A virtual assistant can be a Bloggers best resource! We cover all your questions about virtual assistants and everything you’ve ever wanted to know in this episode! Can you balance being a full time blogger and having that work / life balance? Can you do it all? Should you? All this and more in this episode! Clips from day 2 of The 2017 Blog Life University Conference where bloggers learn from experts like Jenny Melrose, Rachel Miller and more. Clips from the Blog Life University Conference - grab great blogging insights & tips from the experts! You've to tons of content! Repurpose it. We talk about the how and why and all the benefits. In this 30 minute podcast episode we'll give you "Top Secret Tips to Boost Your Blog" featuring our guests Dan Morris and Rachel Martin of Blogging Concentrated and the Amplified Podcast. Enjoy! Today we're taking about How & When to Rebrand Your Blog. Don't miss these tips! 65 Incredible Must-Have Resources for your Blog, Business, Brand and Personal Life! Tips, tools and stats on why visual content is important for your blog posts and social posts, plus suggested apps!